Home Politics Events Rwanda’s Parliament Elections:Please don’t say that you were never warned. Rwanda’s Parliament Elections:Please don’t say that you were never warned. This Sunday September 2, 2018; an absentee ballot election for Rwandans living abroad is planned. This election is to vote for members of Rwanda’s Parliament. In Rwanda, the election is planned for Monday September 3, 2018. 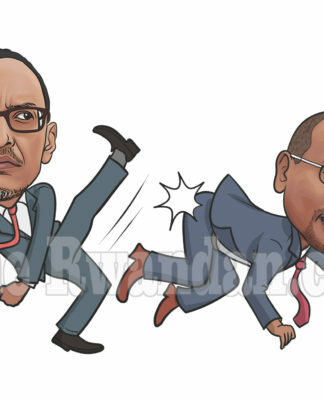 We know that the political space in Rwanda is closed and those who oppose the government are harrassed, killed, and imprisoned; why is Rwandan people’s time wasted when the elections are staged like a theater or movie and results of these elections are predetermined? Rwandans, please resist wasting your own time. And the government should stop wasting the limited and little resources it has in fake elections. Rwandans who live abroad, especially those who either have refugee status or those seeking refugee status, we are asking that you think and consider whether you are refugees or if you are in your refuge countries as agents of Rwanda’s dictatorship. Think deep and hard whether your participation in the election is legal in your host countries. We know the answer is that your participation in these elections is ILLEGAL. It is against your host country laws. Those of us who are true refugees understand what it means to be a refugee and respect the laws of our host countries. We ask you to please clarify whether you are refugees or are agents of a foreign country (Rwanda) in your host countries. To that end, authorities in various host countries in Europe, North America, Australia, and various African countries have been tipped off about those illegal activities in regards to fraudulent Rwandan refugees. The majority of those countries have committed to pursue the cases of those who are asylum holders or asylum seekers yet participate in elections for the government they claim to have fled. What will you say to law enforcement in your host countries about your participation in those elections? How will you deny pictures, video footage, and other evidence of your participation in those elections? Please don’t say that you were never warned. Previous articleThe Rwandan opposition needn’t to fight each other but they shouldn’t as well promise to build castles in the air. Genocide of Fulani (or Fulbe) of Mali and Demonstration in front of the CBC House in Montreal, Canada.